Heighten the functionality of your cookware with inserts and lids from American Kitchen Cookware. 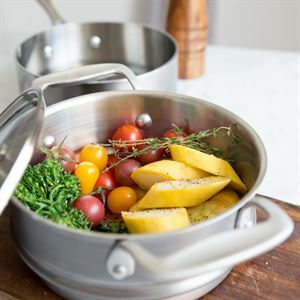 Our stainless steel cookware includes extras for your pots and pans that seal in moisture, prevent unwanted splatter, steam vegetables to perfection, and prepare delicate sauces, delicious candies and more. Shop our stainless steel lids, double boilers, and steamer inserts to instantly boost your kitchen capabilities. Looking for a new lid or a replacement lid? Our American-made stainless steel lids are the perfect cooking companion to your favorite frying pan or saucepan. Preventing unwanted spatter during searing or frying, the lids also keep moisture inside the pan, retaining your food’s tenderness and flavor. Consider our 10-inch recessed lid, which fits both our 10-inch premium stainless steel skillet and our 10-inch premium nonstick frying pan. 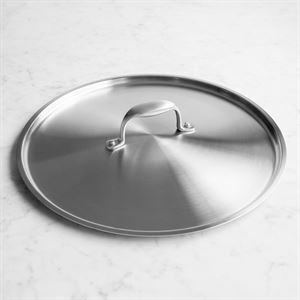 The lid’s recessed edge keeps liquid inside the pan, while the two layers of professional-grade steel wrapped around a layer of aluminum allow the lid to transfer from stovetop to oven. 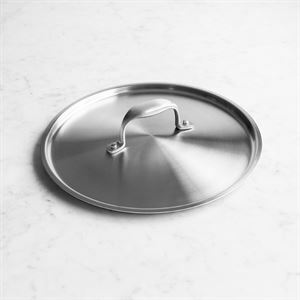 Safe up to 500 degrees Fahrenheit, our lids are easy to clean and dishwasher safe. Encouraging healthier eating in your household? 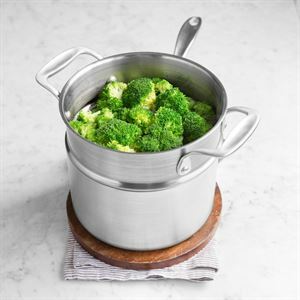 Our stainless steel steamer inserts quickly steam fresh vegetables on the stovetop in mere minutes. 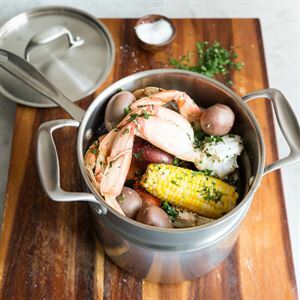 Also a favorite accessory for seafood, tamales, dumplings and more, American Kitchen’s steamers are made of 18/10 stainless steel to retain heat, with a perforated bottom to keep food from getting soggy. 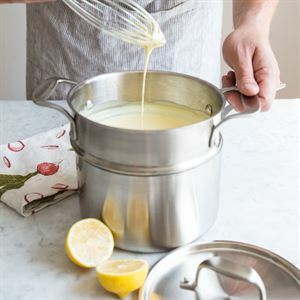 The steamer works perfectly with our 2-quart or 3-quart stainless steel saucepans and has an attractive satin finish. Tightly riveted handles allow easy maneuverability while staying cool to the touch. No seasoning is required with our steamer inserts, and clean-up is a cinch. 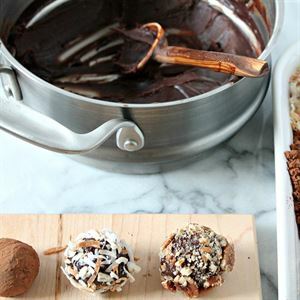 If your interest lies with sweet and savory sides, you will want to explore our stainless steel double boiler options. 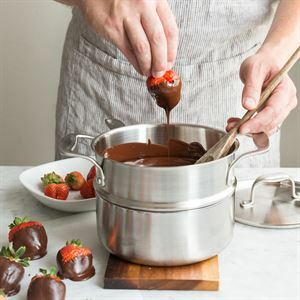 The 18/10 steel allows the slow, even heating necessary for melting and heat retention so that your chocolate, candies, syrups, and creamy sauces come out smooth and glossy every time. Stainless steel handles are designed for durability plus they stay cool during stovetop use so that you have ultimate cooking control. No matter your recipe or cooking aspirations, American Kitchen Cookware has the cooking vessels you need to create culinary deliciousness. From casserole pans to stock pots, nonstick bakeware to griddles, lids to steamers, we know you will discover your favorite cookware item here.